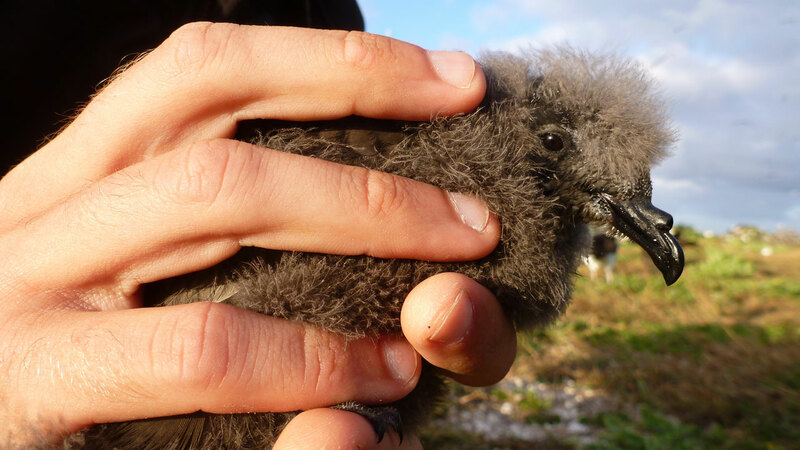 HONOLULU, HI -- A rare seabird whose population was wiped out of Midway Atoll National Wildlife Refuge in the Northwestern Hawaiian Islands is now hatching healthy chicks on the atoll. The U.S. Fish and Wildlife said in a statement Saturday that three Tristram's storm-petrel chicks were discovered in March by researchers using a wireless infrared camera. Officials say this is the first documented evidence of the birds successfully breeding on the atoll after the introduction of non-native mammals, including rats that eat eggs and chicks. Refuge Manager Robert Peyton said in the statement that Midway Atoll Refuge is now completely free of rats. The small birds actively breed only at night in well-hidden ground burrows and are rarely spotted at sea. The International Union for Conservation of Nature lists the birds as Near Threatened.